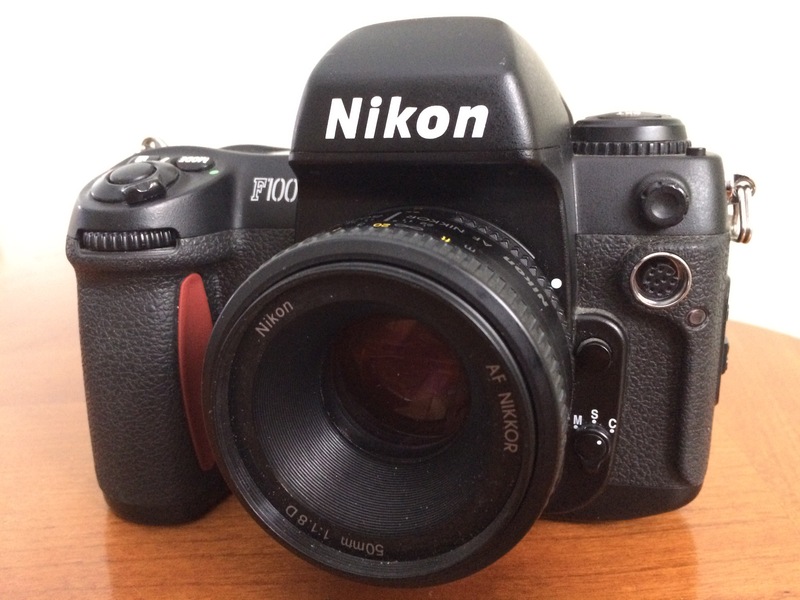 Many years ago, an old high school friend contacted me through Instagram asking if I’d be interested in buying his Nikon F100. I had just purchased a Nikon F80 at the time and wasn’t really in the market for one. Fast forward about three years, and I reached back out inquiring if the camera was still for sale. We struck a deal, and a couple days later I had myself a beautiful Nikon F100. This camera is a lot bigger than I thought. I see online a number of comparisons between the Nikon F80 and F100, so I made the assumption that they would be the same size. Nope. The F100 is as large as a digital full-frame camera… and just as heavy. I’ve only run about four rolls through it, but really like the accurate metering and super fast focusing. I also like he fact that I can use all my existing Nikon lenses with it. This will probably replace my Nikon F80 as my go camera when shooting fast moving subjects… like my kids. I’ll be holding on to this one for a long time. Below are some of the photos I’ve taken so far with this camera. Feel free to check out all the photos of taken with this camera over at my Flickr album. December 22, 2016 in Cameras.